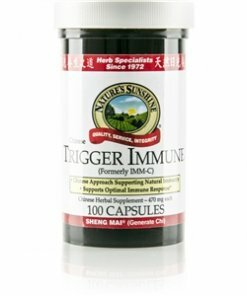 Nature’s Sunshine Trigger Immune®, Chinese, blends 18 herbs used in traditional Chinese medicine to nourish the immune system. Called sheng mai in Chinese, or “generate the pulse,” it provides support to a weakened energy constitution. 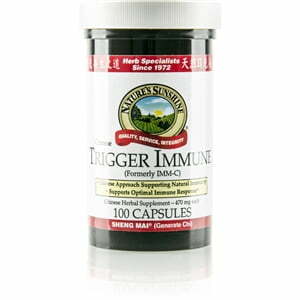 It contains schizandra, astragalus, dang gui, ginseng, and ganoderma to strengthen the immune system and boost energy.